Ashwagandha extract - is a Ayurvedic medicine used for treating variety of health conditions. Ashwagandha is a natural herb acts as an effective antioxidant for stress relieving. Ashwagandha extract will nomalize your physical and mental health conditions. Withania Somnifera is the scientific name for Ashwagandha, which is colloquially called poison gooseberry, winter cherry or Indian ginseng. It is very commonly used for its medicinal properties in Ayurvedic medicines; and categorized as an ‘adaptogen’, it is recognized for its stress-relieving properties. The plant itself is a squat herb; and its extract is lightly coloured, neutral tasting and with a particularly pungent smell. The Sanskrit language uses the words Ashwa for horse and Gandha for smell, and the name Ashwagandha is attributed to the herb for its distinct smell. The stumpy shrub of Withania Somnifera grows green, bell-shaped flowers and orange-red fruit when ripe. Ashwagandha root is cultivated in dry areas of India, Nepal, China & Yemen. Withania Somnifera is the scientific name for Ashwagandha, which is colloquially called poison gooseberry, winter cherry or Indian ginseng. 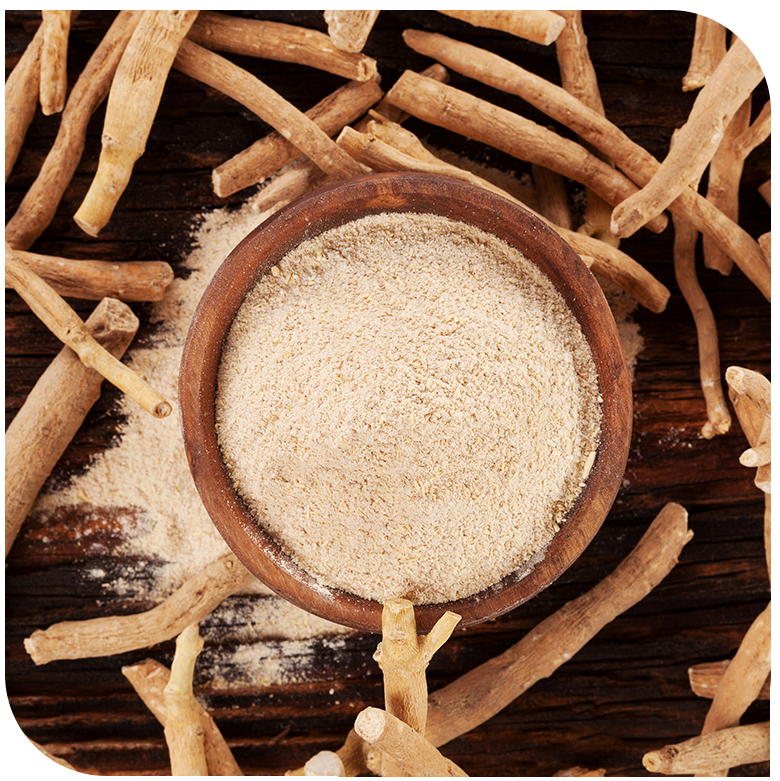 Ashwagandha Extract is very commonly used for its medicinal properties in Ayurvedic medicines; and categorized as an ‘adaptogen’, Ashwagandha root is recognized for its stress-relieving properties. The plant itself is a squat herb; and its extract is lightly coloured, neutral tasting and with a particularly pungent smell. Having been used for centuries in Ayurvedic medicine and been studied in depth for its properties and benefits, Ashwagandha herb has proven to have many medicinal benefits. Ashwagandha extract reduces fasting blood sugar levels, and prompts apoptosis hence killing cancer kills & stopping regeneration of new cancer cells. Regular Ashwagandha dosage reduces the levels of harmful stress hormone Cortisol, hence curbing stress and anxiety. Ashwagandha extract is also known to increase testosterone levels and work as a powerful antioxidant. 1 .Ashwagandha extract is classified as an ‘adaptogen’, which means it has the remarkable dual ability to reduce stress in your body by lowering Cortisol levels while energizing you, which in turn, helps cure insomnia, body pains, digestive problems and is a great catalyst for better quality of life. 2. Ashwagandha extract has been proven to lower blood sugar levels in both healthy people and patients of diabetes. 3. Studies have found that Ashwagandha extract helps in the inducing of apoptosis, which are integral in the destruction of cancerous cells; and the extract also reduces the growth of new cancerous cells. 4. Ashwagandha extract supplements are used for their high antioxidant levels, which in turn work well on testosterone levels in male-bodied people. Research also suggests that Ashwagandha extract increases muscle mass & strength.